United Nations, New York/Beirut, Lebanon – An alarming rise in child marriages has been seen among the most vulnerable Syrian refugee populations in Lebanon, according to a newly completed survey conducted by UNFPA, the American University of Beirut and Sawa for Development and Aid. The survey covered some 2,400 refugee women and girls living in Western Bekaa, and found that more than a third of those surveyed between the ages of 20 and 24 had been married before reaching age 18. Among refugee girls currently between ages 15 and 17, some 24 per cent are married. Before the devastating conflict erupted in Syria, child marriage was significantly less common among Syrians. Estimates vary, but some show child marriage rates to be four times higher among Syrian refugees today than among Syrians before the crisis. This indicates that displacement, instability and poverty are driving the underage marriages. Even some of the data collectors, who were selected from the community being surveyed, are struggling with the pressure to marry off their daughters. “I am convinced that no girl should get married before the age of 18. 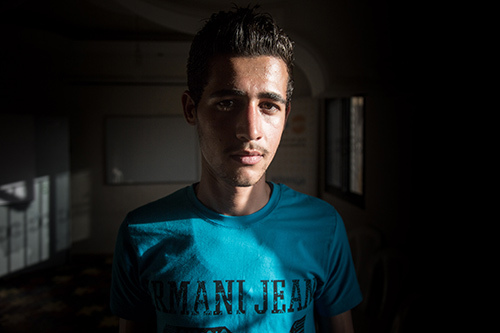 But when it comes to reality, it is different,” said Iman*, a Syrian refugee who was one of the data collectors. She explained that, as a widow and the sole breadwinner for her family, she has trouble supporting her three children and ageing father. “For this, reason my cousin, out of his good heart, wanted to help out by getting engaged to my daughter and supporting us financially,” she said. The survey was conducted in August and September 2016 in Bar Elias, Kab Elias and Marj, areas in Western Bekaa selected because of their large refugee populations and high levels of vulnerability. The survey showed that school enrolment declined among girls as they aged. At age 9, over 70 per cent of surveyed girls were enrolled in school; at age 16, less than 17 per cent were. Girls with less education are more vulnerable to becoming child brides, reports have indicated. Among all surveyed women aged 20 to 24, nearly 35 per cent were married before reaching 18 years old. Another way to look at the figures – as a percentage of married women – shows that 47 per cent of married women, ages 20 to 24 years old, were child brides. The study also had clear recommendations for addressing the trend. For example, it called for improving school enrolment among girls, especially as they transition into secondary school, and for better enforcement of policies barring child marriage. It also recommended raising awareness of the consequences of early marriage among refugee communities. These consequences include an increased risk of pregnancy-related complications for girls, as well as worse health and economic outcomes for themselves and their children. Such information can be powerful. 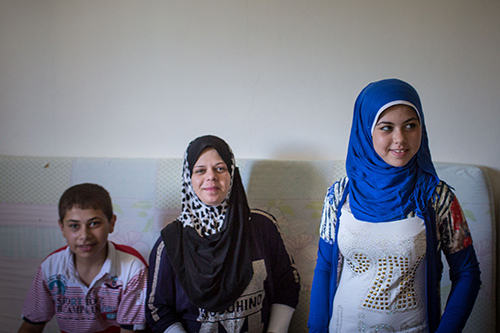 "Because of what I have learned and experienced, it is impossible for me to let my daughter get married at an early age," said one parent who learned about child marriage from a UNFPA-supported outreach programme in the southern city of Saida. These outreach programmes are engaging parents, community leaders, health-care workers and others. UNFPA is also supporting safe spaces, legal counselling and psychosocial care for vulnerable women and girls, including those affected by early marriage. Young people are also being empowered to advocate for change. Through the UNFPA-supported Y-Peer programme, youth – including refugees – are spreading the word about the harms of child marriage to their friends and peer networks. Youth leaders have been eager to take on the challenge. “It is up to us to spread awareness on its negative effects to our family and friends,” said Sara, part of a peer education programme in Baalbek.